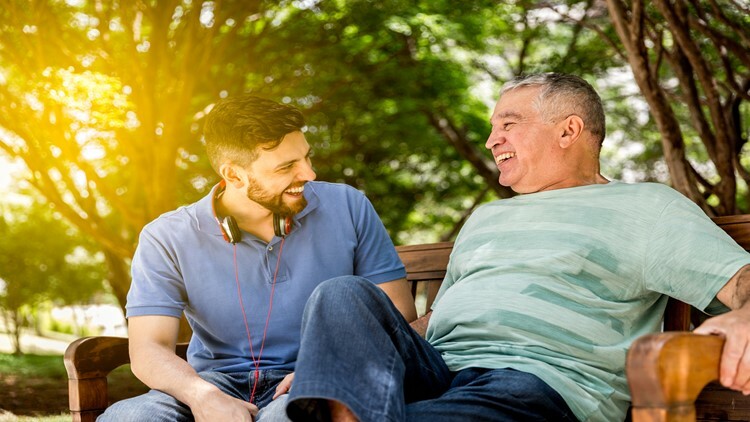 This Sunday is Father’s Day, an opportunity to recognize fathers, grandfathers and great grandfathers, and the important role they play in our families’ well-being. This annual observance is also a reminder of the many health challenges men face. These include lower life expectancy (76 years for men vs. 81 years for women); lower likelihood of visits to the doctor (76 percent of men had seen a doctor in the last year vs. 92 percent of women); and higher risk of being overweight or obese (nearly 71 percent for men vs. 59 percent for women). From an economic standpoint, productivity losses related to men’s personal health issues may cost U.S. employers more than $100 billion annually, according to the Centers for Disease Control & Prevention (CDC). Prevention is Important: Men are three-times as likely as women to go a year without visiting the doctor, and nearly twice as likely to be without a regular go-to doctor in times of sickness. To reverse these trends, now is the time to schedule an annual wellness visit with your primary care physician, providing an opportunity to take charge of your health and detect any potential health issues or diseases early. Reduce the Risk: The medical journal BMJ recently published a study showing that men take more senseless risks than women. This behavior can manifest itself in some unfortunate consequences. For example, men are more likely to be addicted to alcohol and tobacco than women; men are twice as likely as women to binge drink; and men are 80 percent more likely to misuse drugs than women. What’s more, some men are prone to push themselves physically, such as attempting a marathon, triathlon or an extreme sport. It’s a good idea to check with your physician before you engage in any extreme sport and start a slow and steady training routine. Get Competitive in a Healthy Way: Men who take fewer risks and channel their competitive spirit in a healthy way can enhance their well-being and quality of life. One strategy is to pair up with a workout partner, someone who can hold you accountable and encourage you to achieve your wellness goals. Also, check if your employer offers a wellness program that enables people to earn rewards for achieving certain fitness goals or offers discounts on gym memberships. To help maintain overall health, it’s important for men to “compete with themselves” and set realistic – and specific – exercise and diet goals. Following these tips may benefit men – and their families – this Father’s Day and for years to come. And by better understanding men’s unique health challenges, we can help men in Colorado live happy and healthier lives.